The LA Forum’s 2016 On The Map series follows the Metro Expo Line. Join us this summer for events that reflect on urban opportunities that arose since the Expo Line’s phase one completed in 2012 and weight in on the development that the 2016 phase two completion set in motion. Our first stop is La Cienega Station in Culver City, adjacent to the forthcoming (W)rapper Tower project site by Eric Owen Moss Architects (EOMA). 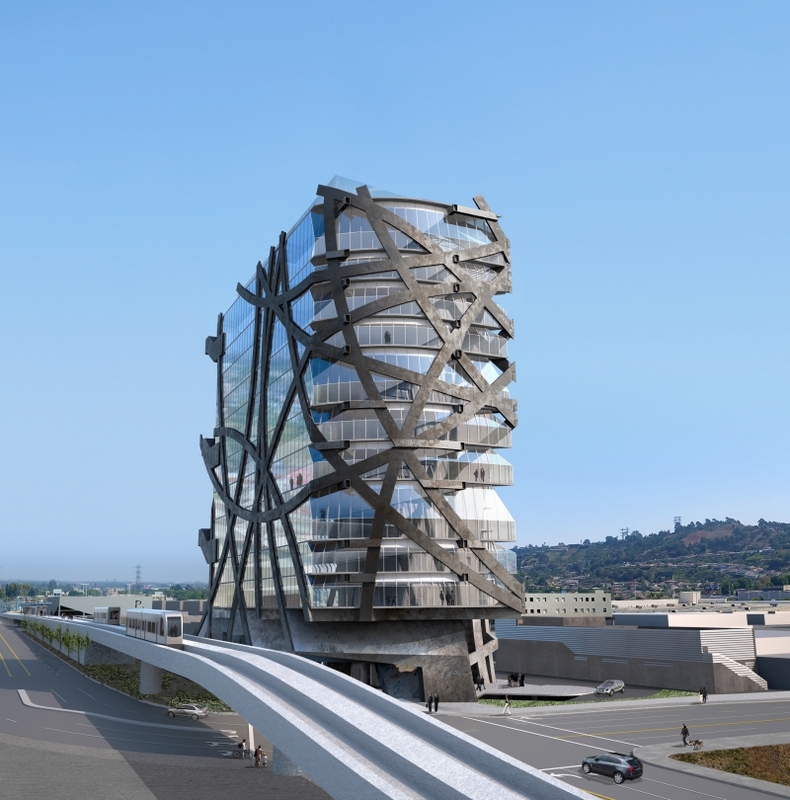 At their office, EOMA will present and discuss (W)rapper Tower’s development and the city’s rapidly evolving urban fabric along the Metro Expo line.